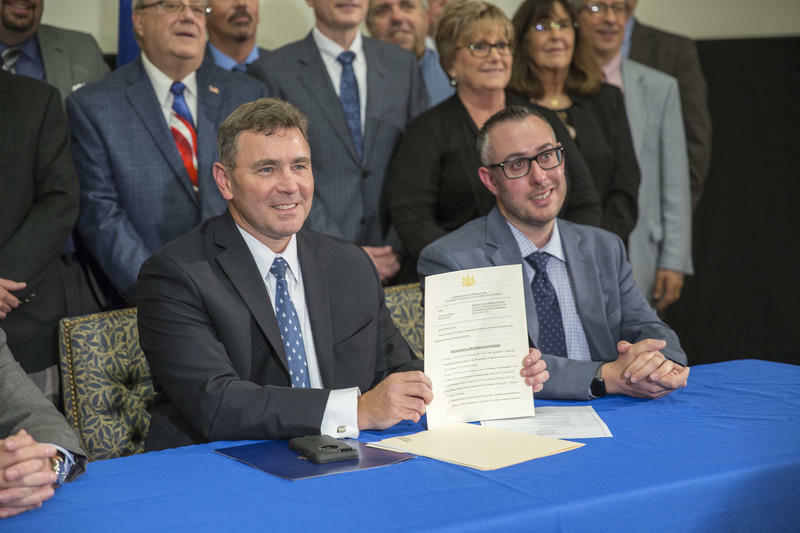 Pennsylvania Department of Community and Economic Development Secretary Dennis Davin (left) and Altoona Mayor Matt Pacifico pose for a photo with the official rescission letter. 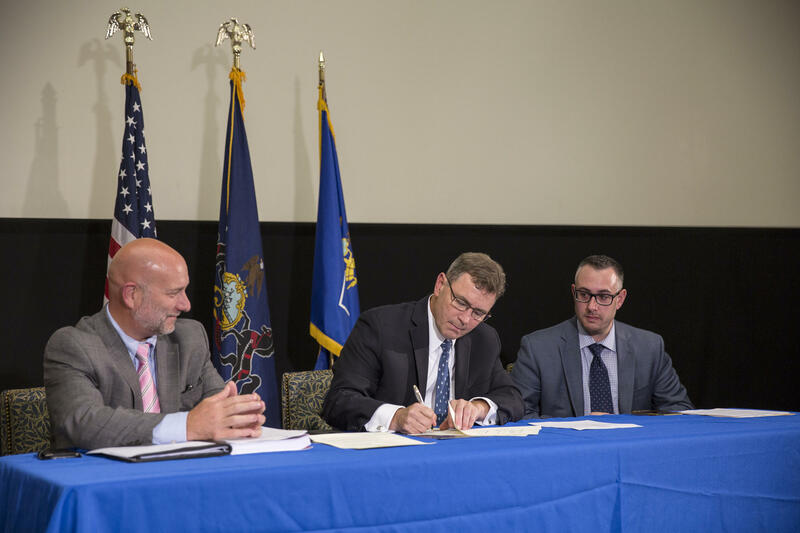 Altoona officially exited Act 47 on Wednesday. Dennis Davin signed the letter granting Altoona's official exit of Act 47. Pacifico spoke to press on Wednesday about Altoona leaving Act 47. Altoona Mayor Matt Pacifico said the decision to enter the program five years ago was difficult; many people had doubts. But the city has worked hard. “The city fulfills its promise to the residents of the community by standing on firm financial footing,” Pacifico said. As Davin shook his hand and congratulated him and the city, Pacifico was emotional, with tears in his eyes. 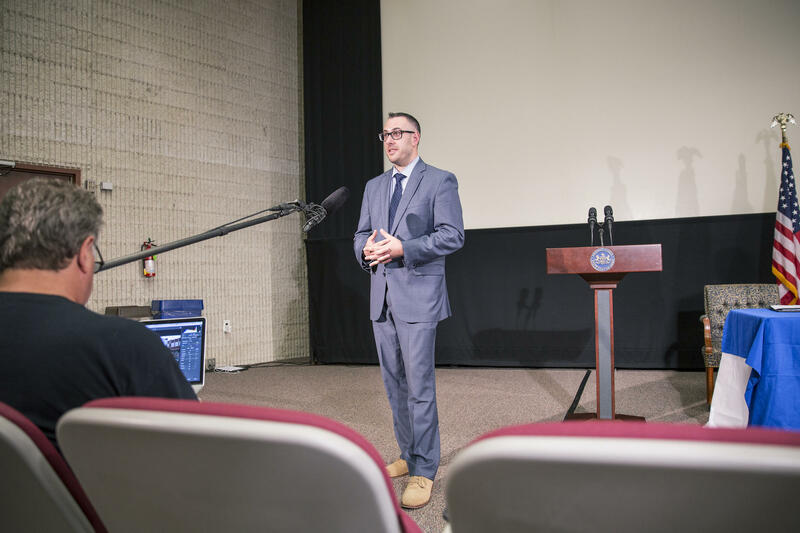 With the exit, Altoona became the biggest municipality in the state to come out of Act 47 and the first to exit in the prescribed five-year timeline since the limit was imposed in 2014. Secretary Davin said Altoona proves that obtaining fiscal stability in a short period of time is fully attainable. Statewide, 17 municipalities remain in Act 47. 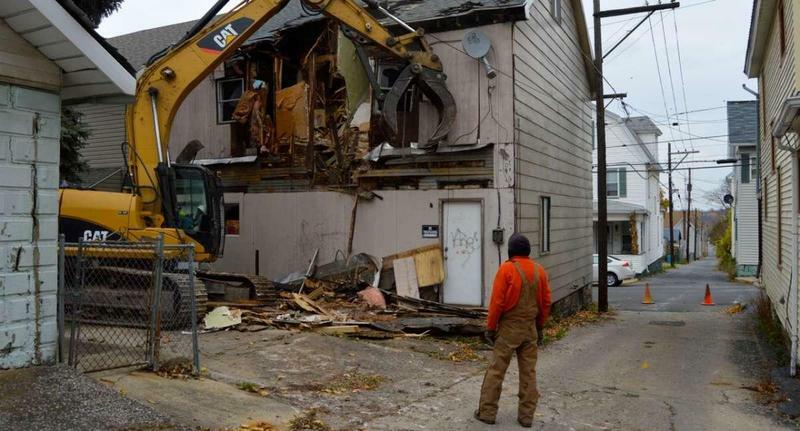 The city of Altoona is forming a Blight Task Force to address the problem of housing deterioration, and it’s calling for residents to apply to its two openings by Friday, September 8. The task force will spend the next year identifying the city’s problems with blight and coming up with an action plan. The task force will have 15 members made up of city employees, business owners and local residents. Meeting once every quarter, their goal will be to learn about the city’s blight issues and help develop a strategy. How does Pennsylvania’s distressed communities law (Act 47) work? Pennsylvania's Act 47 – the Municipal Financial Recovery Act guides how the state intervenes when a local government can't pay its bills or debts. The goal is "recovery" – pursued through a plan developed jointly by state and local players.